The second MOREFISH stakeholder meeting took place in Athlone Institute of Technology on the 27th of January 2017. The theme for the day was “Increasing Irish production in a sustainable manner under emerging environmental constraints”. Act as a forum for industry stakeholders/state bodies/regulatory bodies/Local Authority representatives/HEI researcher’s to investigate & discuss challenges facing the industry. Facilitate discussion on challenges facing the freshwater aquaculture industry in relation to the WFD interpretation and implementation. Facilitate discussion on challenges facing the Local Authorities/EPA on interpretation/implementation of WFD. An overview of section 4 discharges licenses & implications of WFD on future licensing criteria. Exploration of how freshwater aquaculture sectors in other countries handle the WFD interpretation and implementation. To meet these objectives talks were given by Per Bovbjerg Pedersen – Head of Section, National Institute of Aquatic Resources, Technical University of Denmark (DTU) “The Danish perspective on Freshwater aquaculture & WFD – Technical solutions employed for discharge water treatment in Danish freshwater aquaculture”, and Ray Spain – Regional Coordinator, Mid Region (East-West), Local Authorities Water & Communities Office “The challenges of interpretation & implementation of the WFD”. 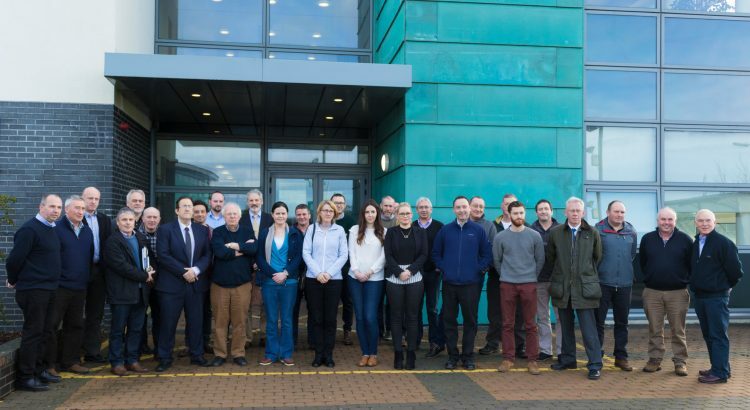 The day was chaired by IFA Aquaculture executive Richie Flynn who opened the meeting with an overview of the current industry output and valuation, the areas impeding expansion and the outlook for the sector under new government initiatives. The numbers attending the event were significantly higher than the previous meeting with representatives from industry, service providers, local authorities, academia and government organizations. The talks were well received by those attending and provided stimulating discussion with the overhaul of the Danish regulatory system and the introduction of the “Model Trout Farms” and the novel approach to effluent discharge and production. Mr. Spain outlined the role of LAWCO and the second cycle of the WFD and the new approach of integrated catchment management. During the roundtable discussion issues which came to the fore included effluent licensing, security of tenure for sites and areas which MOREFISH can assist the sector. Effluent licensing was flagged by industry as being disjointed and fragmented between and within Local Authorities and the process of applying was financially onerous to the applicant. The granting of an aquaculture license is currently for a maximum of 10 years, this period is viewed by industry to be too short to procure suitable investment particularly with the delays in the renewal of licenses. Areas that industry feel which MOREFISH can assist were a review of the current licensing of effluent discharges, to provide a template for discharges applicable to the aquaculture sector, produce a risk assessment procedure based on empirical datasets to determine the frequency of sampling and to conduct a case study of a farm to model its impact within a catchment. These areas are being currently assessed to see if they are possible to complete within the time remaining on the project.